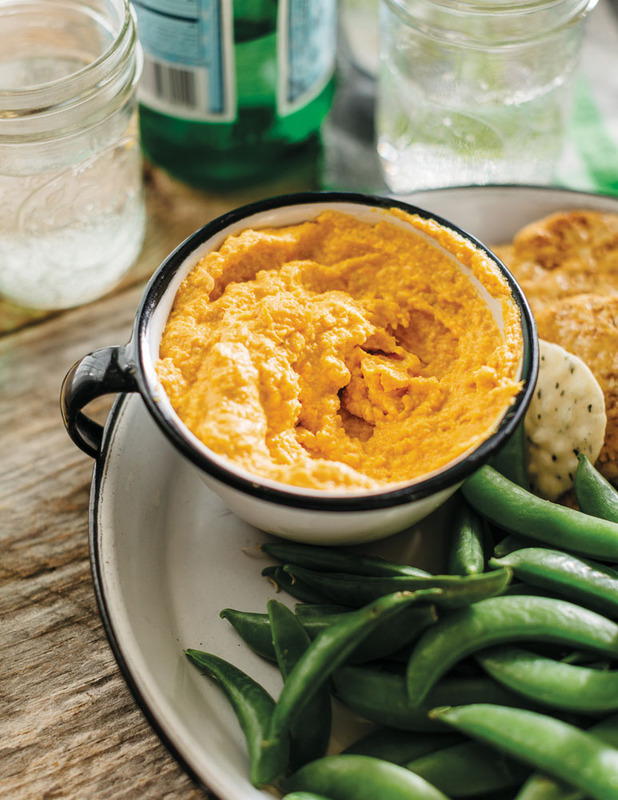 Incredibly creamy when puréed, cashews are blended here with sweet local carrots and spicy ginger for a super flavorful dip (which does double duty as a veggie sandwich spread). I pack wild rice crackers and fresh snap peas from the farmers market to go alongside. Place the carrots in a small saucepan and cover them with cold water. Add a pinch of salt and bring to a simmer over medium-high heat. Simmer for about 15 minutes, adjusting heat as needed, until the carrots are tender when pierced with a fork. Drain. Meanwhile, place the ginger, cashews, coconut milk and turmeric in the bowl of a food processor and blend for about 1 minute, scraping down the sides as needed, until smooth. Add the carrots and purée for another 1–2 minutes, until the dip is very smooth. Thin with a drizzle of coconut milk if needed. Transfer to a bowl and add salt and lime juice. Taste and adjust seasoning, and serve at room temperature.